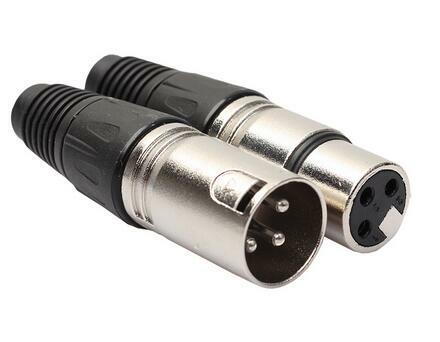 Apply the microphone, audio equipment, mixer, peripheral equipment connected to the audio signal. Graceful arc shape design, feel good. Contact material is brass, high conductivity, and the noise can be well shielded. Perfect for making your own or upgrading old microphone cables.